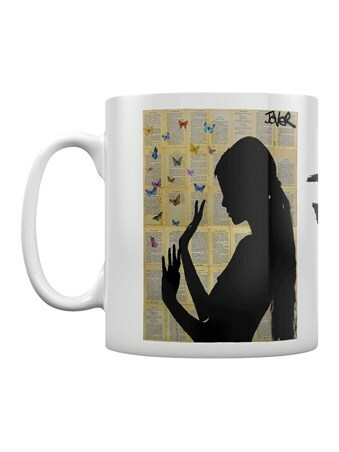 Bursting out from the tea-stained book pages, the tiny fluttering butterflies bring life to this Loui Jover mug. 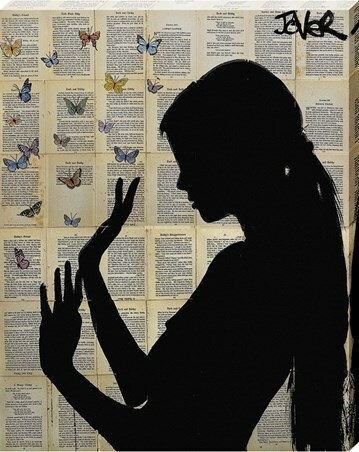 Featured as a silhouette the long-haired female is the creator in this visual story, seeming fascinated by the beauty she has pulled from just words on a page. 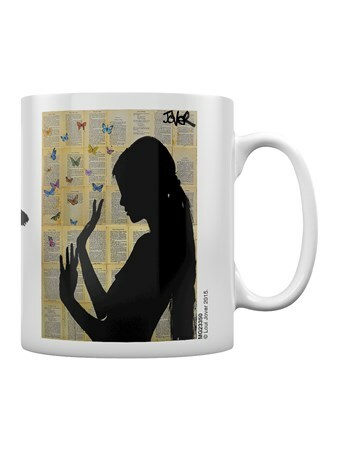 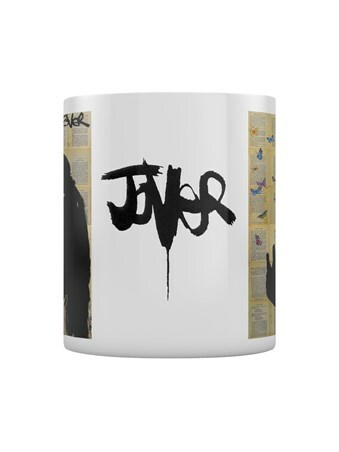 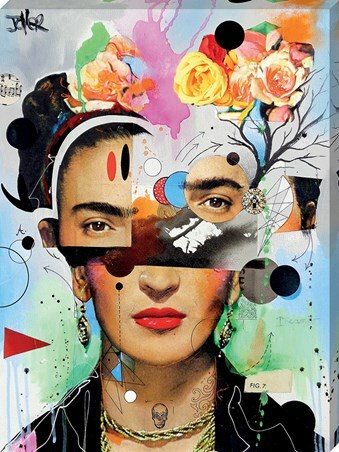 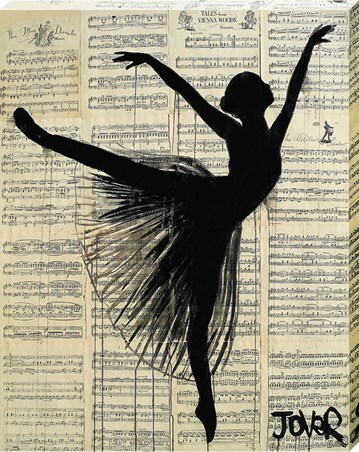 A thoughtful gift for any Jover fan or book-lover. 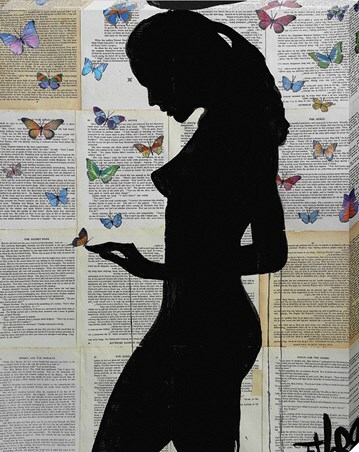 High quality, framed Butterfly Days, Loui Jover mug with a bespoke frame by our custom framing service.